Staying the night in one of Byron, Georgia’s trusted brand name hotels? Venture into town to explore Byron’s sweetest attractions. In Historic Downtown Byron, see antebellum homes, a renovated 1870 Depot Museum and Caboose, the recently-renovated jail and Jailhouse Park. Cross the railroad tracks and visit the Drugstore Deli located in a 1920 drugstore. Enjoy lunch at one of Byron’s unique restaurants or browse the specialty shops. There are endless things to do in Byron, GA. 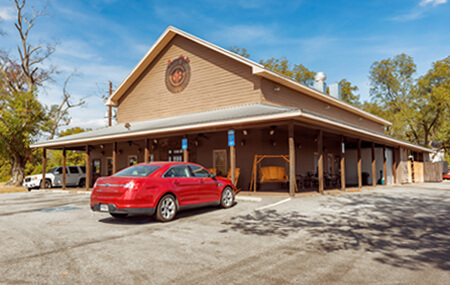 Located in the Peach Shops, make the Byron Welcome Center your first stop in our area. The Byron Convention and Visitors Bureau is ready to help you make the most of your stay in Byron, Georgia. In the exact center of town, the Byron Depot is a historic railroad depot and caboose, beautifully restored to reflect times in Byron in the early 1870s when the community was a flag-stop known as “Number One and One-Half Station” on the Southwestern Railroad. 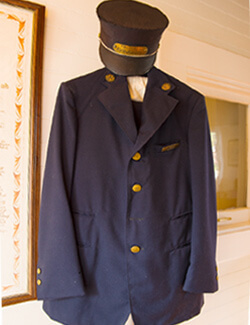 Take a photo at the caboose, or call ahead to arrange to see the museum inside the depot which presents the history of Byron through pictures, artifacts, and other memorabilia. History presumes that more area-grown peaches were shipped through this site daily in the 1920s and 1930s than anywhere in the world. Byron's Downtown and those homes in the immediate area were designated as the Byron Historic District in 1995 and listed on the National Register of Historic Places. A variety of architectural styles are represented in Byron including, Georgian, Victorian, and New South. A walking/driving tour brochure is available from the Byron Welcome Center or the Byron Area Historical Society Headquarters. Cane River Vineyard is a wine tasting room located next door to GeorgiaBob’s BBQ Company in Byron. They specialize in wine tastings and the retail sale of predominantly Georgia wines and specialty gifts. The vineyard is a true Southern experience! This unique country store hosts wine tastings or enables customers to host their own event! A great source for local pecans, pickles, jams and jellies, and peach cider is the country store at Barbour Farms in Byron, Georgia. The old Byron jail, built around 1875, is now the headquarters building for the Byron Area Historical Society which renovated the building in 1998. It serves as a repository for society records and documents and houses historic pictures and memorabilia from Byron’s past. Tours may be arranged at any time. The Powersville Opry presents country and gospel music each Saturday from 5-9:30 p.m. to standing-room-only audiences. Free; donations accepted. One of Georgia’s premier antique malls, and Central Georgia’s biggest and best selection of antiques and collectibles, the Big Peach has something for everyone! Find more than 200 dealers and 33,000 square-feet of antiques and collectibles under one roof. Open seven days a week and located directly off I-75, the Big Peach is Central Georgia’s favorite antiques shopping destination. The Peach Shops at Byron is a regional retail shopping destination. Come shop at VF Outlet, Dress Barn, and many others. Have a great meal at Casa Mexico or 478 Country Buffet. The Peach Shops at Byron has something for everyone. 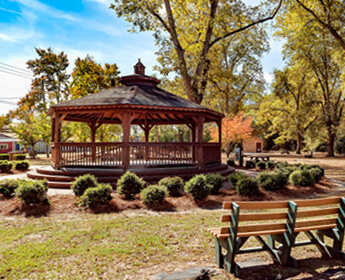 North Peach Park is the place for community festivals, trunk or treat, movies in the park, and many other events. 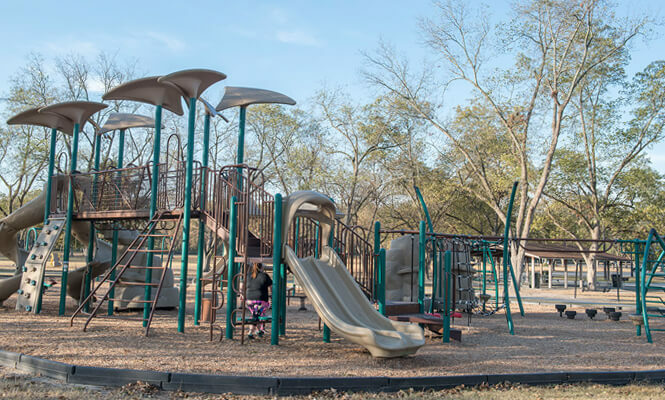 The park has picnic shelters, playgrounds, trails, tennis courts, volleyball court, basketball court, seasonal splash pad, horse shoe pits, baseball/softball fields, football fields and soccer fields year round. There are also pecans and chestnuts for public picking and use. North Peach Park also has an indoor, climate-controlled multi-purpose room. Rumor has it that Pokemon can be captured at this park. 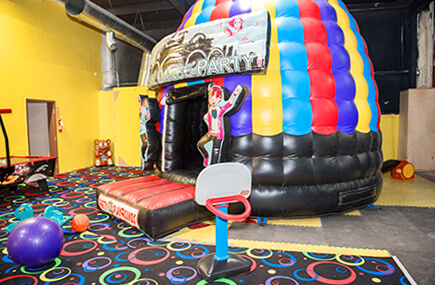 Let the kids work out some energy with an hour or two at the Party Playground Indoor Fun Center. This room full of inflatables and soft play equipment will let your little ones run, jump and play, rain or shine. It’s also a great place to have a birthday party. Across the street from GeorgiaBob’s BBQ Company. Named because of its proximity to the town jail built c. 1875, development of the park was the project of the Byron Area Historical Society, assisted by a grant from the state of Georgia. Site of events such as the Downtown Byron Saturday Market, a seasonal farmers and artisans market, the park includes a gazebo/bandstand and several picnic tables. Site of nine NASCAR Grand National races in the 1960s and 1970s won by such legends as Richard Petty, Bobby Allison, David Pearson and Bobby Isaac; location for the filming of a 2012 Dodge Durango commercial; and site of the second annual Atlanta International Pop Festival in 1970. Today, a marker at the site commemorates the Pop Festival, which showcased 30 musical acts including rock icon Jimi Hendrix playing to the largest American audience of his career, and Macon’s Allman Brothers Band on their launching pad to national fame. 4015 U.S. Highway 41 N.